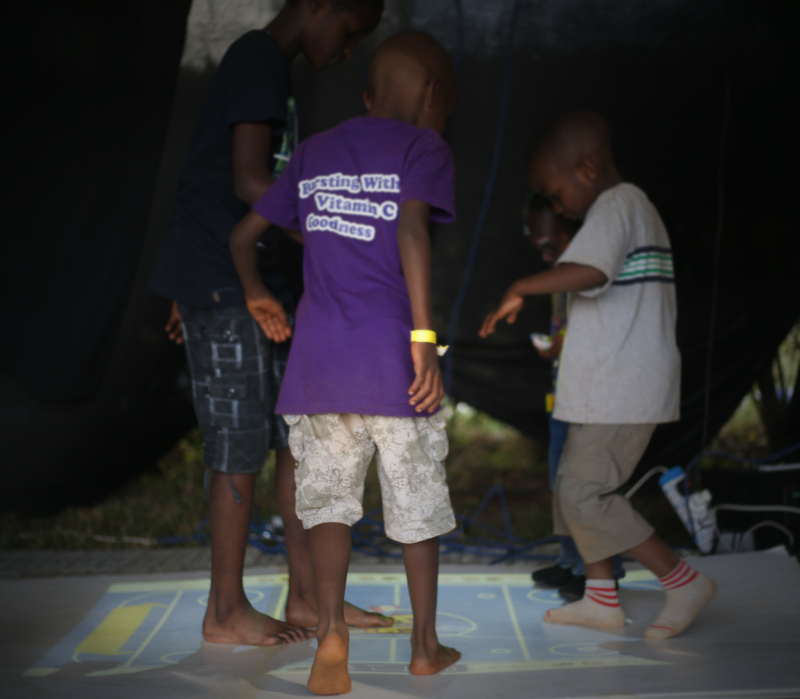 Temporary Interactive Floor Installation, Nairobi. 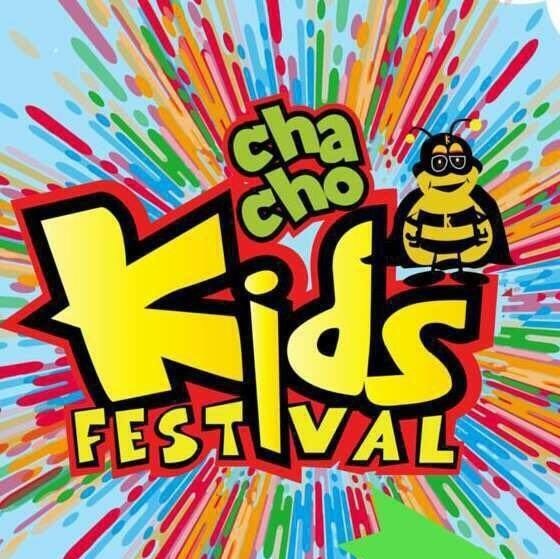 Objective: The Kids Festival is an event that happens a couple of times throughout the year in Nairobi. 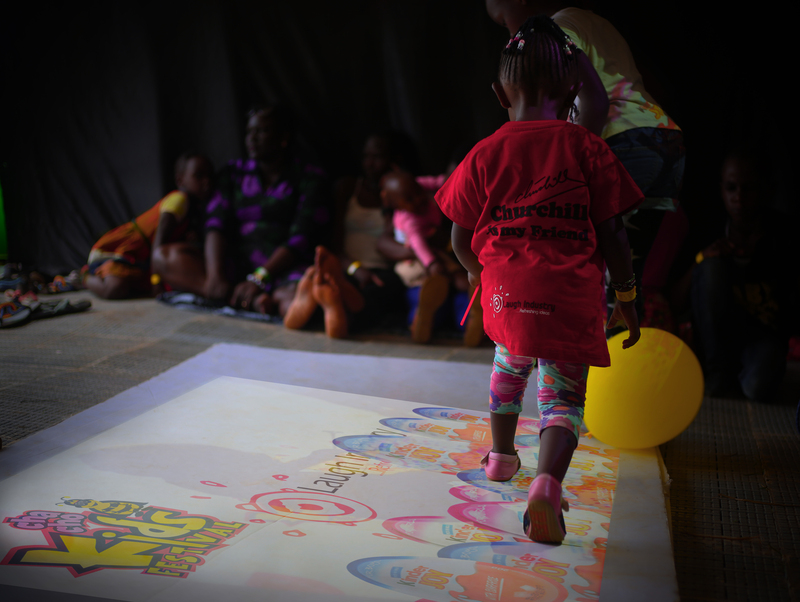 This year the event was held at the Carnivore grounds and attracted more than 10,000 children. 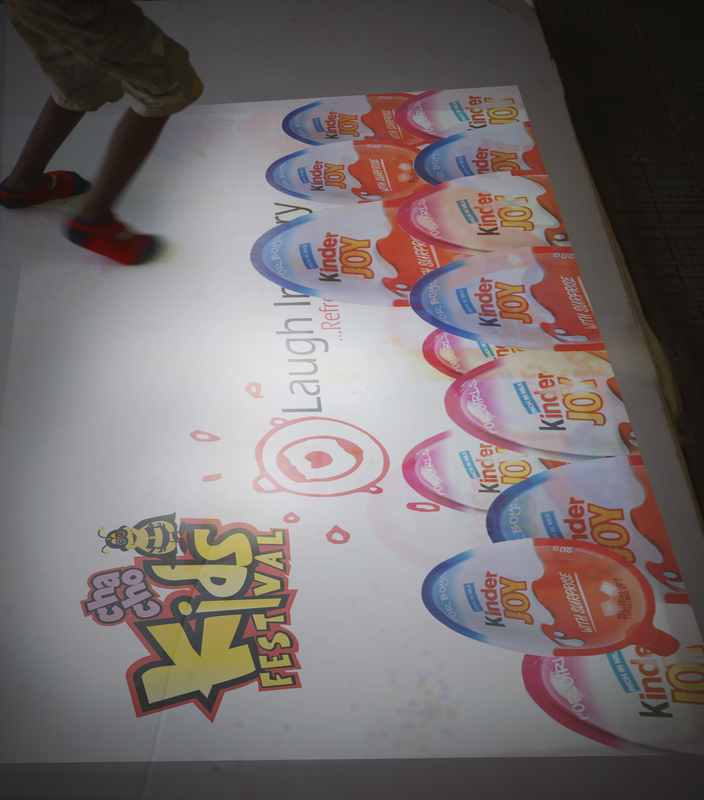 The client wanted to include a more fun and interactive platform to engage the kids during the festival. 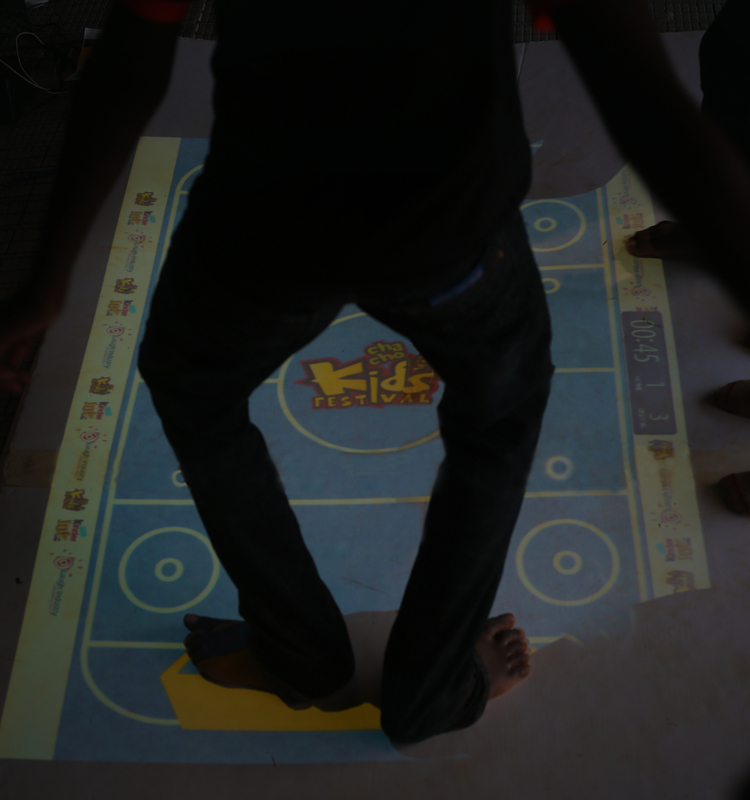 We installed temporary interactive floor installation. 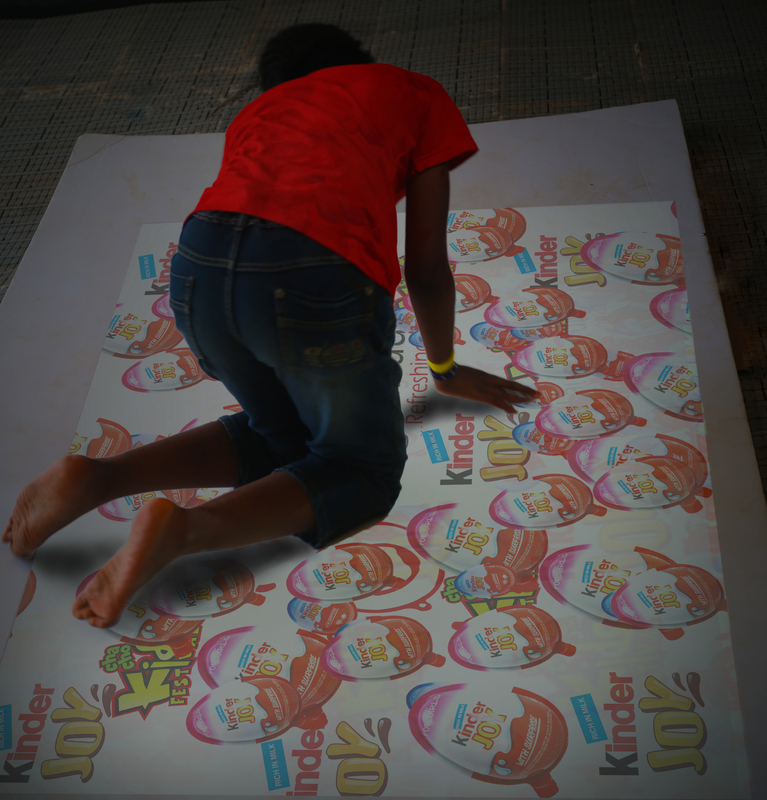 With branded games that kids of all ages could easily play. 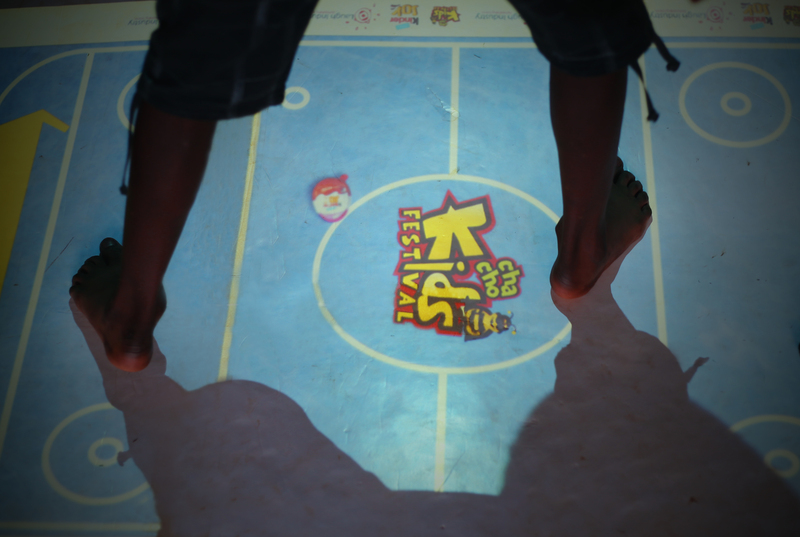 The response was very good from both the client and the kids. 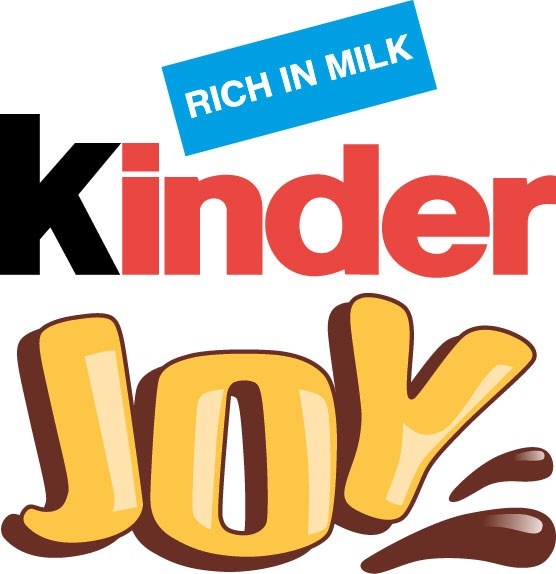 Games/ Effects: We offered a variety of customized games from the Kinder Joy reveal, Kinder Joy Egg pop, Help the bunny catch the egg, Herd the cows, Hockey with the Kinder Joy Egg and Football.